Two pieces of legislation being considered in California aim to shore up the foster parent approval process. They would ease the funding delays plaguing new foster parents, and streamline the approval process which is often quite long. Assembly Bill (AB) 2183 creates an immediate source of funding for resource families (foster families) who take in a child on an emergency basis. Senate Bill (SB) 1083 would make some parts of the foster care approval process more accessible to traverse. It would remove children voluntarily placed by a parent or legal guardian from the resource family approval process. 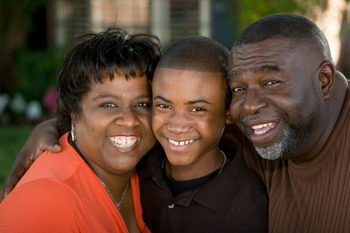 If you are interested in becoming a resource parent, Triad Family Services can help you navigate the approval process. very nice blog from triads family ,thank you for sharing with us keep it up. We offer assignment samples on any subject or discipline before you want us to do my assignment. For example, you are a nursing student, searching for references to learn the writing style, tone and presentation of nursing assignments. In this case, our nursing assignment samples can help immensely. I have found out about the issue yet as I am working with a paper composing administration, I have no thought how to handle these issues. Do My Assignment, All things considered, I might want to express my emotions about that.